Nifty has moved new height last year, posting 30% growth. Thanks to Modi Ji…"Achhe Din" aa gaye. Technically Nifty chances to cross 8600 in January is very low. ADX has started showing weakness. 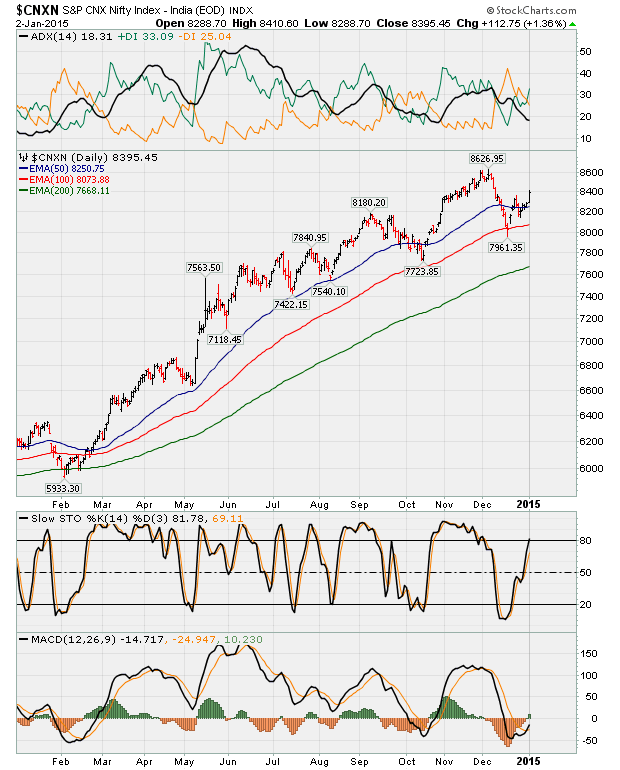 At max Nifty may consolidate at current level. This entry was posted on January 2, 2015, 11:01 pm and is filed under Uncategorized. You can follow any responses to this entry through RSS 2.0. You can leave a response, or trackback from your own site.